Roadside assistance is an essential service that everyone needs who drives a car or bike. No matter the car is brand new or old one however your vehicle may still get break down and you need road assistance service. These days many reputed car companies offering road assistance as part of warrant but its always not adequate and vehicle owner wants to wait for long time. Taxi Mobility introducing new mobile app for roadside assistance that allows users to access towing, tire change, fuel & oil delivery, lock smith and jump start service by tapping. The new app is available in both android and IOS, users can request the service by tapping menu. The service provider can accept or reject service request by tapping away. This GPS based mobile application also allows both users and service providers to locate each other so that it reduces time and the inconvenience of vehicle repairs. Nobody wants to be stuck in road side due to bike or car breakdowns. There are many motor companies providing vehicle assistance in roadways however it is terrible to find out one which is near by your location. This technology helps to track their way and arrival time so you need not worry about break downs and flat tire. Here is why you need succor in road side. Battery Assistance: Sometimes you will left head lights or interior lamps or of the car . In some case, battery will die and you need road side services to jump start your vehicle. Tire Change: No matter you have brand new car or old, you car tire will flat anytime. If that’s the case you need someone to change spare tires for you. Locksmith: Most of the car owners may felt the moment of realizing when they locked keys in their car. In this case you need someone for lockout and let you get in to car. 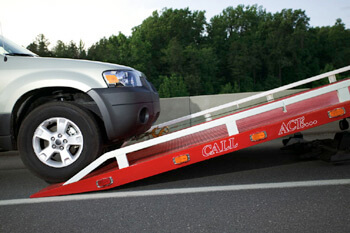 Towing: Your car may get breakdown at anytime so you would have vehicle assistance for towing your car to safe place or repair shops.